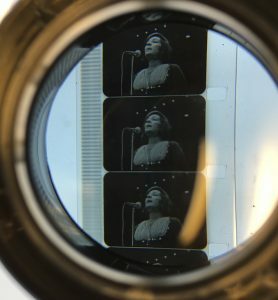 As we begin a new year and semester at Ryerson, I would like to share highlights from the collections by looking at films I inspected in 2017. 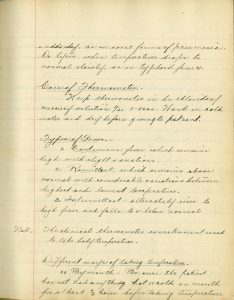 I started working at Archives & Special Collections in July 2017 as an Audiovisual Assistant with the goal to survey their moving image assets for preservation and digitization initiatives. 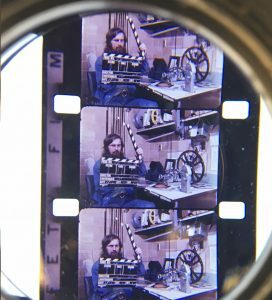 It has been an incredible experience digging through the vault, and I would like to share some of my discoveries by using the reference images I took while inspecting the films. 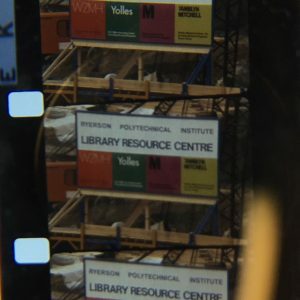 The Archives have several promotional films that examine the history of Ryerson and the programs offered since the university’s inception. What’s an Expert explores the Secretarial Science program, which was available at Ryerson between 1952 and 1985. Ryerson Is, another promotional title, presents brief vignettes on Ryerson’s academic programs. Nana Mouskouri in Belafonte at the O’Keefe (1965). Opening title for the CBC special featuring Duke Ellington. The show was produced and directed by Sampson (1964). 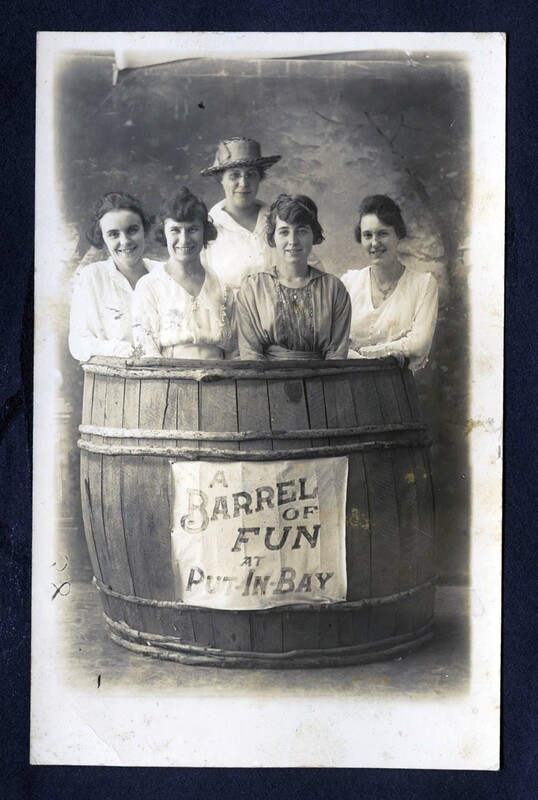 I found several hidden gems as part of the Paddy Sampson Fonds in Special Collections. 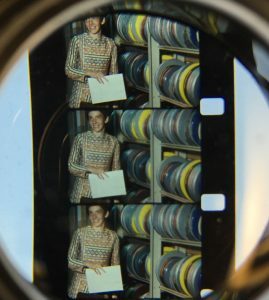 The films in this collection include raw and edited footage from musical television programs that Sampson produced for the CBC in the 1960s and 1970s. One of my favorites is Belafonte at the O’Keefe, a show featuring Harry Belafonte accompanied by the Greek singer Nana Mouskouri and the Folk-blues duo Sonny Terry and Brownie McGhee. Shot from the Buffy Ste-Marie CBC Special (1980). The collection also holds a Duke Ellington variety special with a beautiful animated introduction, as well as raw footage from a television program on Buffy Ste-Marie. 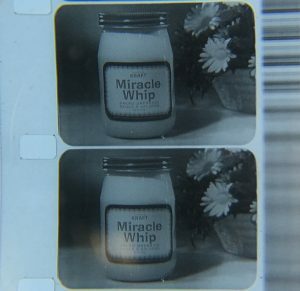 Kraft Miracle Whip advertisement from the Sampson films. One of my favorite parts of the Sampson films is that we have kinescope copies (black and white film recordings of television broadcasts) since these reels include the advertisement breaks during the shows! 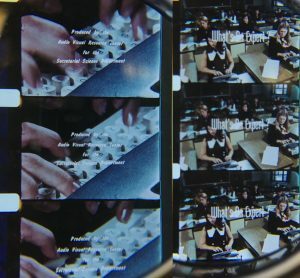 Ryerson Media Centre staff film (1972). 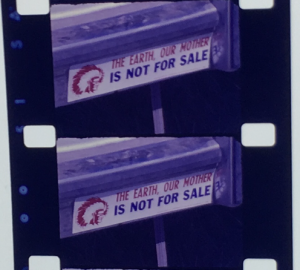 Recently, I have been looking into Ryerson’s past, and learning about the Ryerson Media Centre (now called the Digital Media Projects) through films they produced in the 1970s. An untitled reel featured media and radio staff members showing off their equipment and facilities. The Film/Paper Story by the Eastman Kodak Company (1980). 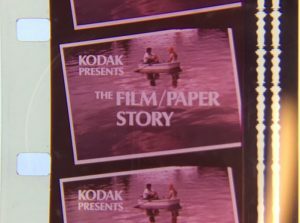 The Kodak Canada Corporate Archive and Heritage Collection has several great instructional films, including one on the process of making photographic paper and film stocks. 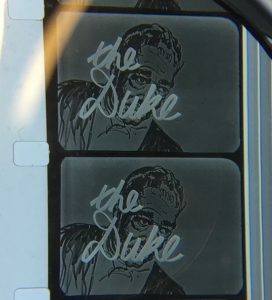 Opening of a film by the Eastman Kodak Company (1980). Our biggest milestone for 2017: A&SC moved into a new space on the 4th floor of the library! 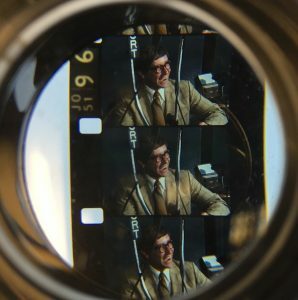 Stop by to visit the reading room and learn more about films in the collection! 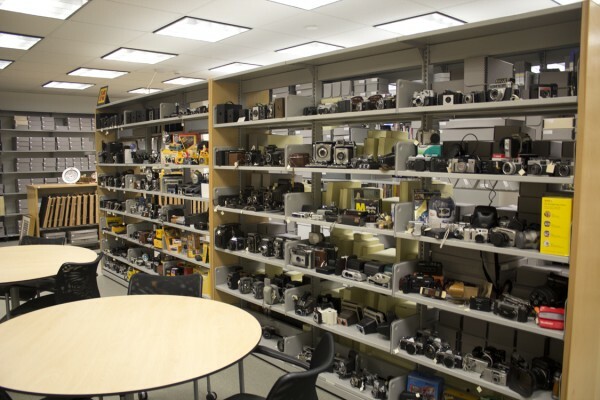 We even have a 16 mm circulating film collection for faculty and instructor use. Have you ever wondered what people watched at home and in theaters before Netflix and the invention of cinema? 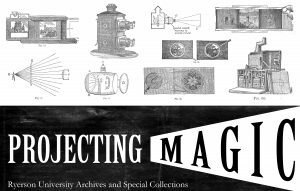 This exhibition hopes to demystify one aspect of pre-cinematic technology: magic lantern projectors. 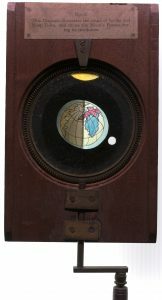 These early optical devices used oil or gas light sources to project glass slide images onto a screen. Some say magic lanterns are the precursors to Powerpoint presentations! The first report of the construction of a magic lantern is generally considered to be referring to the Dutch scientist Christiaan Huygens in 1659. It was inspired by precedent optical inventions such as the camera obscura (which was a room containing a pinhole that a scene was projected through onto the opposite wall), and magic shadow shows which used puppets and hands to recount stories. 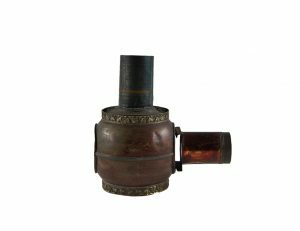 Lampascope Boule magic lantern, meant to be placed above an oil lamp. By the eighteenth-century, the magic lantern was “openly displayed” for public events by traveling lanternists in public venues. Several showmen used the lanterns to produce horror shows, popularly known as “Phantasmagoria” shows. These presentations projected ghostly images onto smoke screens to create the effect of conjuring evil spirits. Initially lanterns were illuminated by candlelight or oil lamps, but this did not produce enough light to project a clear image from afar. Lanternists began to use limestone in the early 1800s, as they could successfully be used for projection in large theaters. Limelight is produced through the combustion of hydrogen and oxygen directed at a piece of lime (calcium oxide). This method was quite complex and potentially hazardous, since at the time putting gas under pressure was achieved by sandwiching rubber bags filled with gas between two pieces of wood. 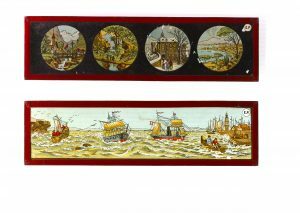 Magic lantern slides by the German manufacturer Ernest Plank, with the trademark initials E.P. By the mid 1800s, a huge variety of magic lanterns became available to the professional and home market. On display in the exhibit, we have lanterns with varying functions, from a decorative circular lantern meant to be placed above an oil lamp at home, to a large biunial (or double lens) lantern that could be used in large halls for theatrical presentation or educational lectures. Slides also varied in their typology, becoming more detailed and elaborate with each new iteration. Initially they were rectangular strips of glass with hand painted imagery and a mahogany wood border. 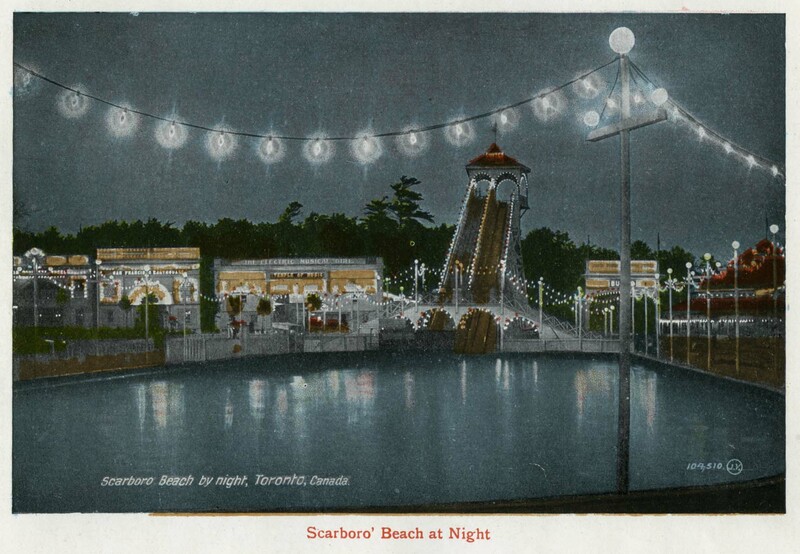 When separate wooden slide carriers were developed, the wooden border attached to the wood slides themselves was removed from the design. 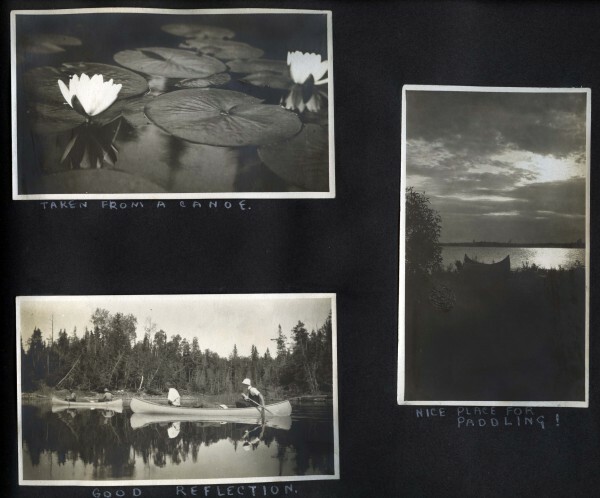 Then, the illustrations featured on the glass portion went from being hand-painted to mechanically produced, and by the mid 1800s photographic slides came into production as well. Astronomical mechanical slides were designed to specifically demonstrate movements of the solar system. Magic lantern projection also demonstrates the aspiration to present not only static, but moving images to an audience. Lanternists would use panoramic slides, which when passed in front of the projector’s lens would create the illusion of movement. This quickly progressed into animated images which came about with creation of ingenious mechanical slides. This included rack-and-pinion slides where glass discs were rotated using a handle (and which were often astrologically themed), lever slides, or single pulley slides which used a rope pulley system. Items on display are part of a recent donation of magic lantern projectors and slides from John Tysall. 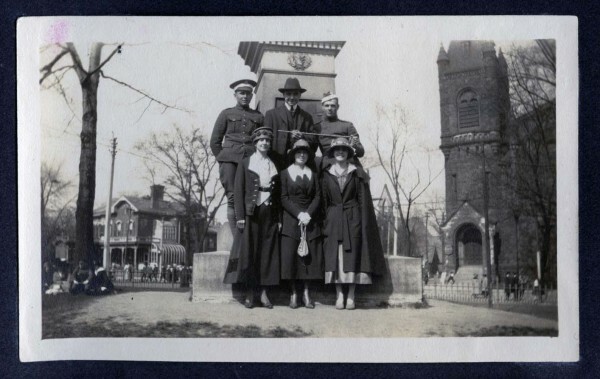 Stop by the Archives and Special Collections Department on the 4th floor of the Ryerson Library to see the new exhibit located in the display case by the 4th floor reading room doors. The exhibition is designed and curated by Jocelyn Oprzedek and Olivia Wong. The Model Slide Rule, hung on display at the Ryerson Archives. 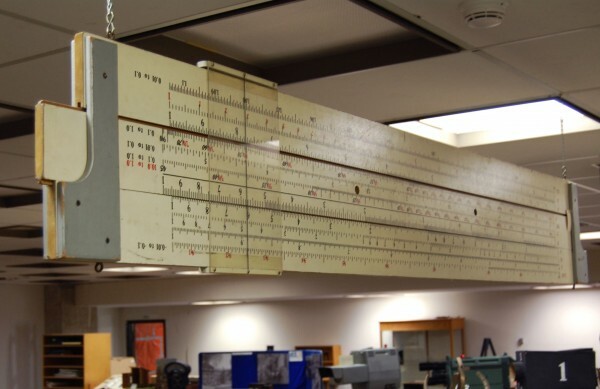 One of the Archives longest artifacts (when fully extended it reaches 18 feet), this model slide rule was donated by the Mathematics, Physics, and Computer Science Department. It was used for demonstration purposes in the classroom. It served as a useful visual aide by instructors who would need to explain concepts on the chalk board to a classroom of students. The students could then follow along with their respective slide rules. 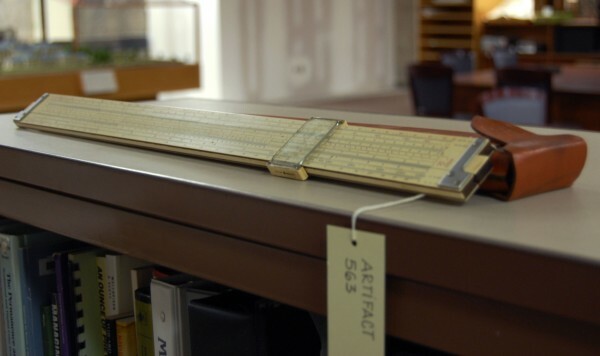 The slide rule was developed in the 17th century and was used for calculations in science and engineering before the advent of the pocket calculator. 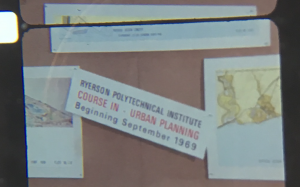 Donald Mordell, Ryerson’s President from 1970-1974, also donated his personal slide rule and case. He was a distinguished international engineer and academic. 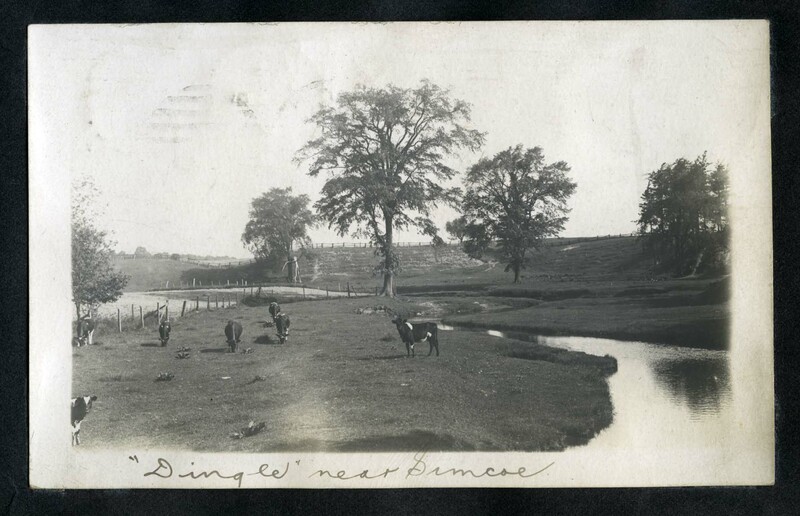 To see this artifact, and all the others on display in the reading room, drop by the Archives. 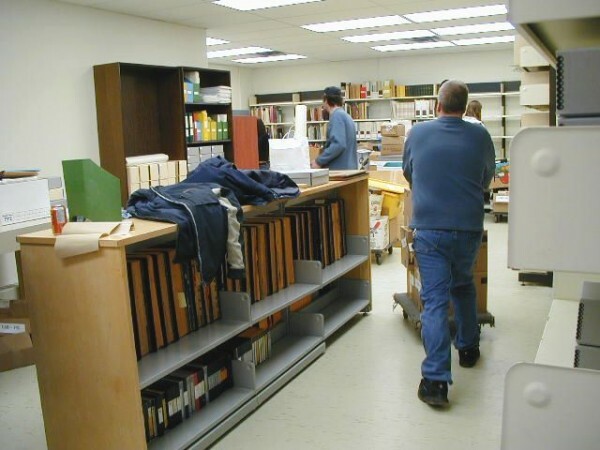 Ryerson’s Special Collections is filled with all kinds of unique and unusual material. 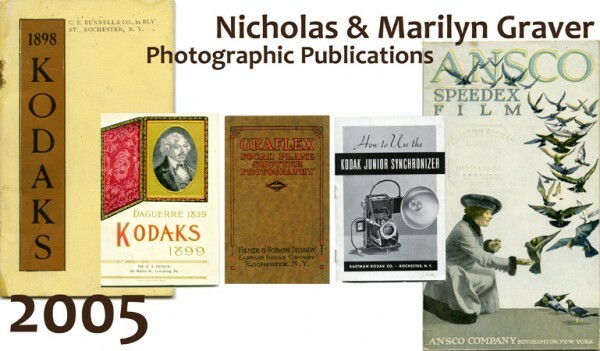 Here is our list of the top 8 odd and outstanding artist’s books you can find in our collection! This thin artist’s book allegedly contains ten duotones of forbidden images. However, what the reader will see when browsing this book is a stiff book with five silver coloured pages. That’s because Boltanski has coated each image in a scratch-card like opaque substance. So, the only way to view the hidden images is to physically scratch off the surface of each page. In this way, the artist is making a statement about the responsibility of viewing images of disaster, forcing the reader to make a decision – either peek and look, or stare and wonder at what lies beneath the surface. Sol LeWitt was one of the artists spearheading the Conceptual movement in the 1960s. While he was most well-known for his painting, drawing and sculpture works, LeWitt also published multiple photographic artist’s books. This odd little book contains a photographic narrative of two roosters fighting. With a simple layout and premise, this book of photographs light-heartedly hints at dance and performance. Because the whole event is not completely recorded, LeWitt’s book suggests multiple readings and multiple endings. See by Marcia Resnick contains 34 black and white portraits. Each portrait shows the subject in the center of the frame in front of various landscapes. However, instead of looking at the camera, each subject has their back to us. This simple little book from 1975 can actually be read as a deeper exploration of looking and being look at, of seeing and being seen. It won’t take long for you to read this book cover-to-cover, and it’s definitely one you’ll want to peruse again! At first, this artist’s book seems a bit underwhelming – each of its pages are completely identical with small coloured squares on each side of a black page. However, everything changes once the reader realizes it is actually a flipbook – and not a conventional flipbook either. Instead of creating an illusion of movement on the pages, this book creates a three-dimensional illusion. 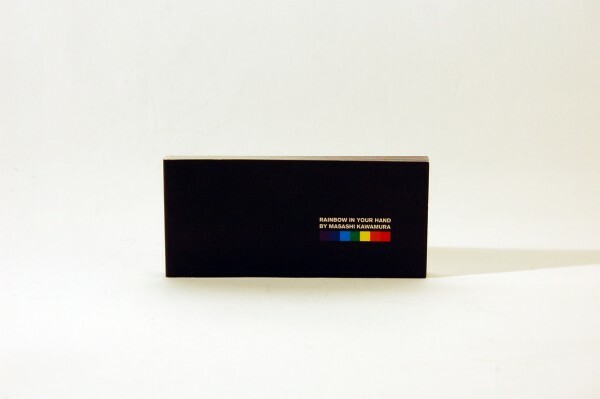 When this clever little book is flipped though, a rainbow appears in the space between the pages! 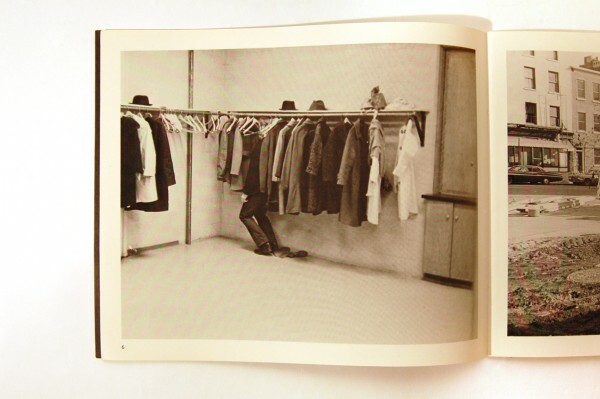 This book is a great example of the type of unconventional book that was published by conceptual artists in the 1970s. 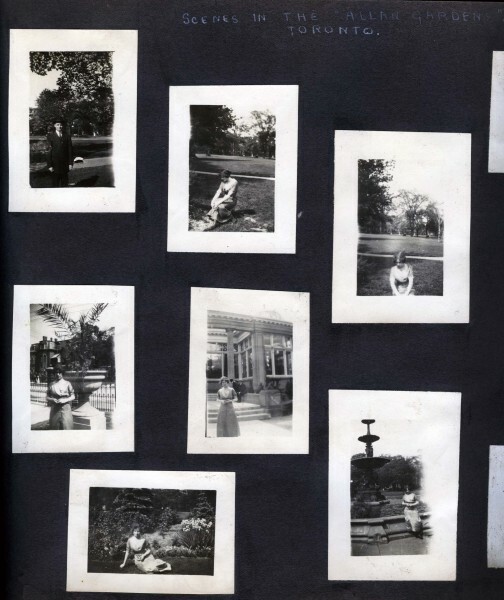 The book contains black and white photographs, each of the artist hiding in plain sight. Part-performance, part-photography, the work Escher creates in this book shows the landscape and artist as merged, and can be seen to the reader as a sort of grown-up version of Where’s Waldo. This collection of images firmly resides outside of the traditional form of artist’s book. Instead of bound pages, this work consists of 78 individual tarot cards. 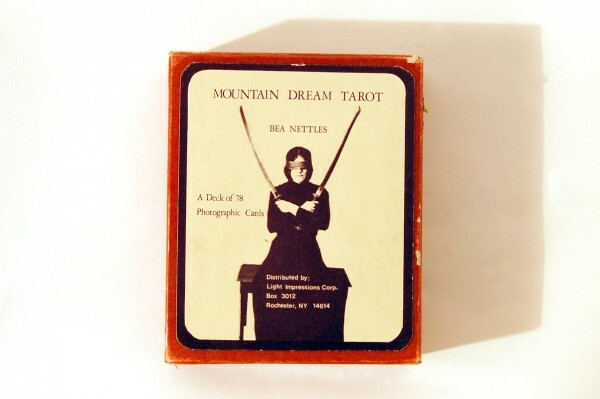 The deck from 1975 is the first known photographic tarot deck, and is one of the most collectible tarot card decks in the world. 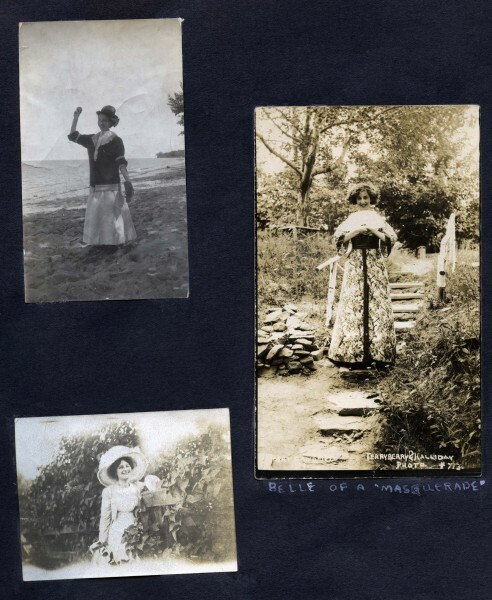 Using herself, as well as family and friends as models, the artist created the multicoloured photographic cards over the span of 5 years. A lot of skill and technique went into each image. 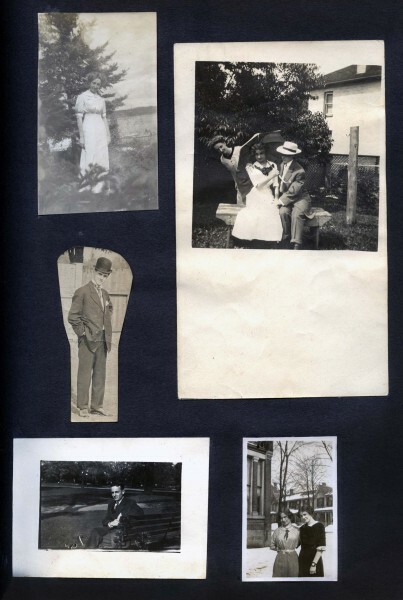 There was no Photoshop at the time, so Nettles used darkroom tricks to create special effects in the images – collaged photographs, multi-layered images and hand-drawn symbols are some of the processes she employed. 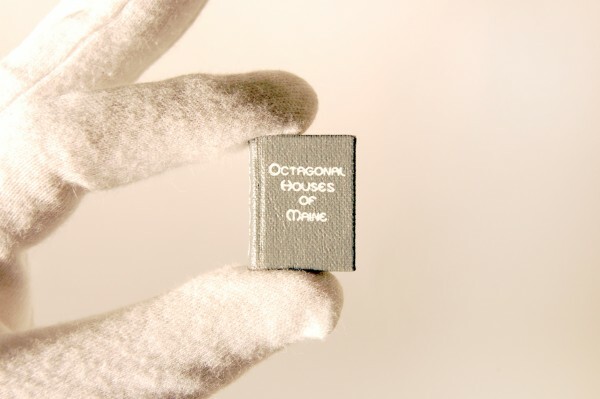 This curious book is by far the smallest in the collection – in fact it measures just 2 centimeters by 2.5 centimeters! The book chronicles the history of the eight-sided homes in the state of Maine. 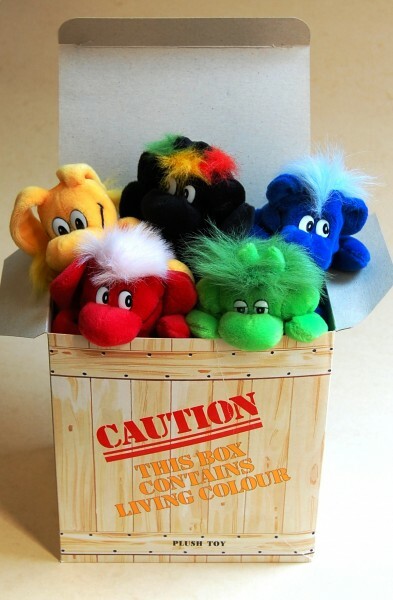 The author appears to have also written multiple books on the subject of teddy bears, and is a self-proclaimed “teddy bear artist”. In addition to being the smallest book in our collection, we consider it to be one of the oddest little gems in the stacks! 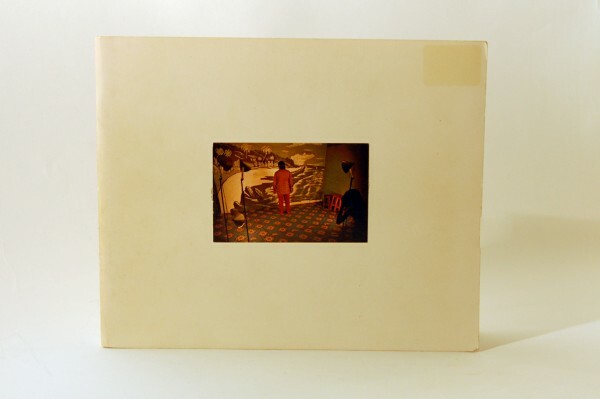 This rare and fragile artist’s book is one of the most iconic to come out of the 1970s. For Every Building on the Sunset Strip, the artist mounted a motorized camera to the back of a truck, photographing every building he passed. 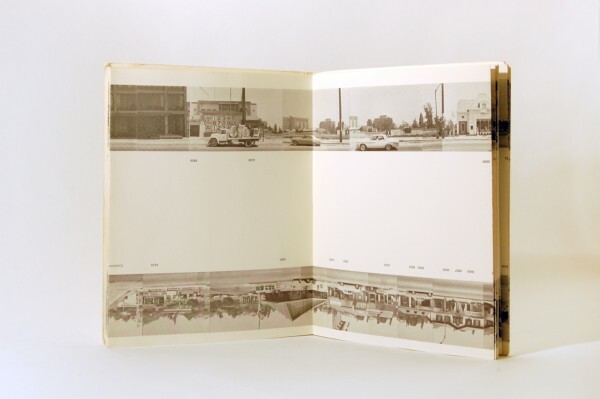 Ruscha then created a bound accordion-style book from one continuous folding strip that extends approximately 25 feet. Though now the book might make us think of Google Street View, the book revealed at the time a new form of topographical map-making study. 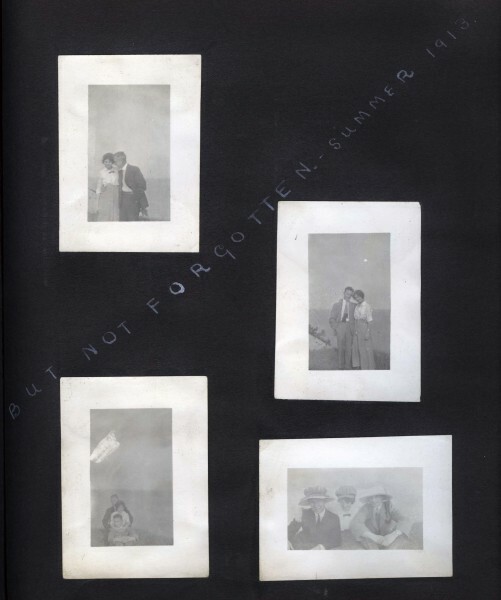 Ruscha is known for spearheading a new genre of artist’s book, favouring a cheap and conceptual approach over the typical livre d’artiste of the day. 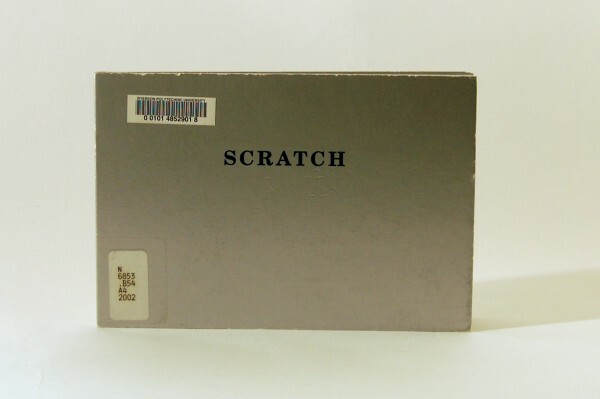 Ryerson’s Special Collections is also home to various other original seminal Ruscha books, including Business Cards, Royal Road Test and Crackers. Contact us to come have a look at these odd and outstanding artist’s books! 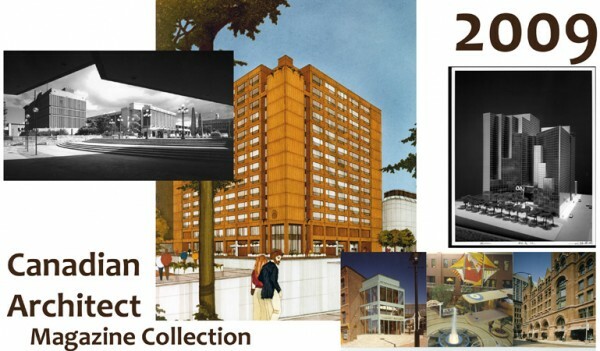 The Kodak Corporate Archives and Heritage Collection, acquired by Ryerson Library in 2005, includes many insights into the unique corporate culture of Eastman Kodak and its affiliates. 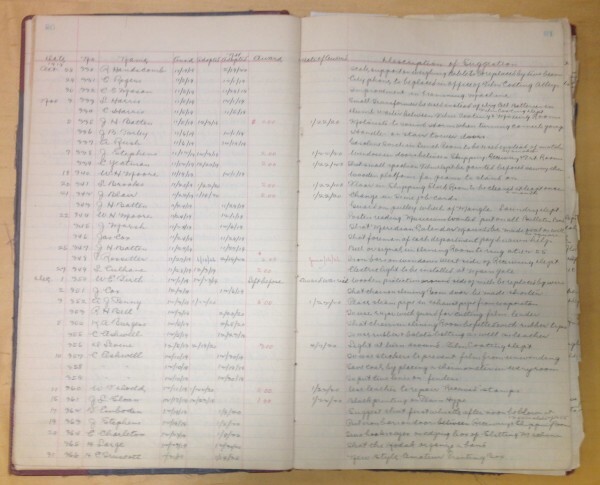 One of these is a group of employee suggestion books, used by the company to record suggestions submitted by employees from 1915-1959. Along with the suggestions and the name of the employee responsible, is a record of the amount of money awarded for suggestions that were implemented. 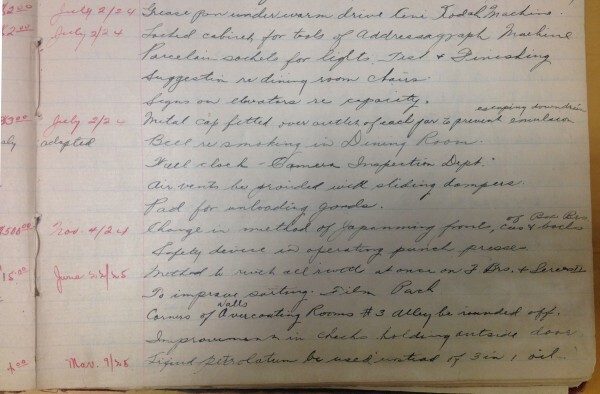 The highest award during this time was in 1923, to W. Coldwell for suggesting a change the Japanning process on box camera components, as well as adding a safety feature to punch presses in the factory. 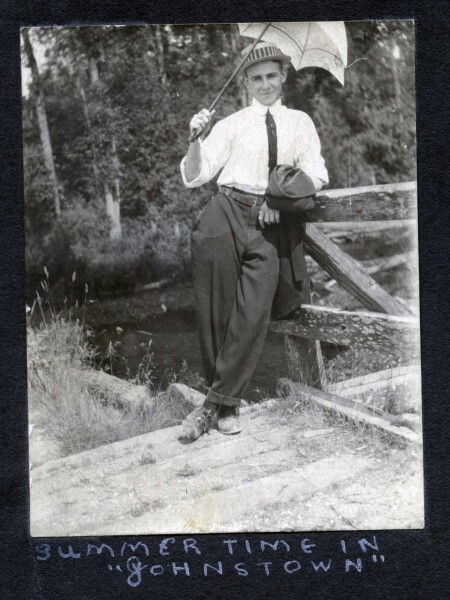 Kodak Canada valued employee input quite highly; the $500.00 bonus awarded to Coldwell in 1923 would be worth about $6,900.00 today. 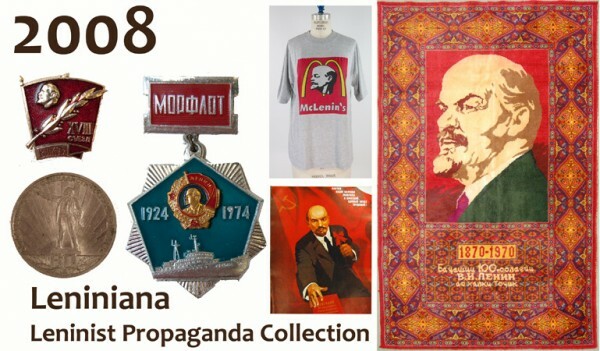 If you would like to view these artifacts in person or do other research in our collections, make an appointment or drop by the 4th floor of the library building. 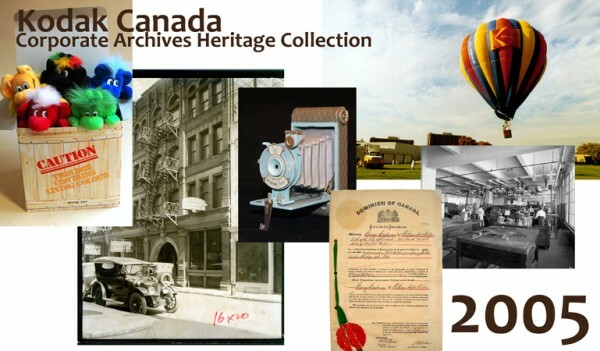 To search our collection online, check out or newly launched collections database. What is that THING in Special Collections? 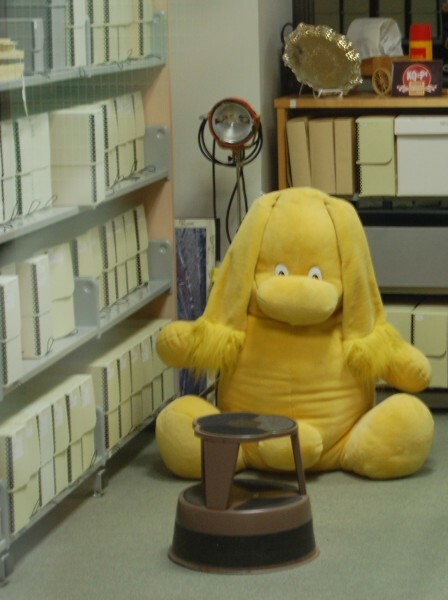 Well, that’s Max, a larger version of the plush Kodak Kolorkins toys, produced by Kodak from 1988 until the later 1990’s. Beginning in 1988, Kodak Canada began giving away the tiny, stuffed promotional toys away in exchange for mailed-in points that customers collected from film and batteries. The promotion was wildly popular, and by the time the first promotion was over, they had given away 225,000 toys and were recognized as runner up in the Council of Sales Promotion Agencies’ first “Awards of Excellent”. 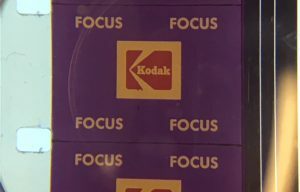 There were three series of Kolorkins, and our friend Max (along with his friends Click, Zoom, Check and Digit) was part of the last series, produced in 1999 as part of Kodak Canada’s centennial. 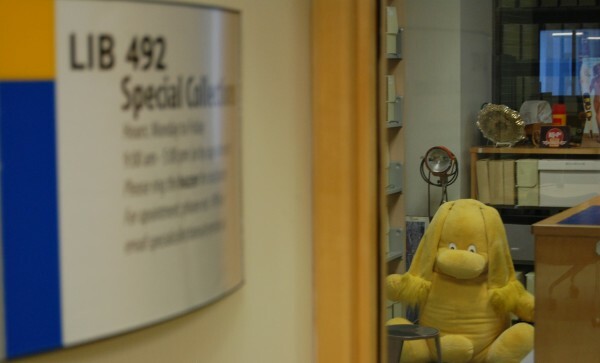 If you’d like to visit Max, or explore more of our collections, please drop by Special Collections, located on the 4th floor of the library building, or make an appointment by emailing specialcollections@ryerson.ca. 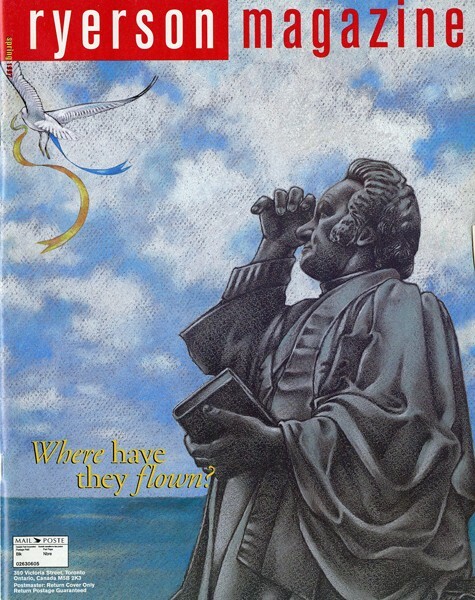 “MARCH OF THE KOLORKINS.” Toronto Star, Feb 20, 1989. http://ezproxy.lib.ryerson.ca/login?url=http://search.proquest.com/docview/435873367?accountid=13631. 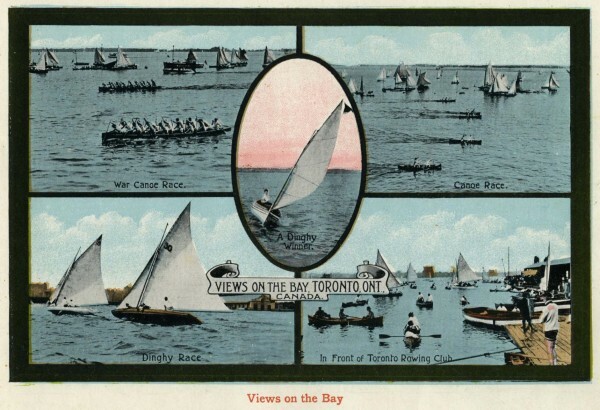 With the first day of summer quickly approaching, the people of Toronto are flocking outdoors to enjoy the many events and activities taking place across the city. 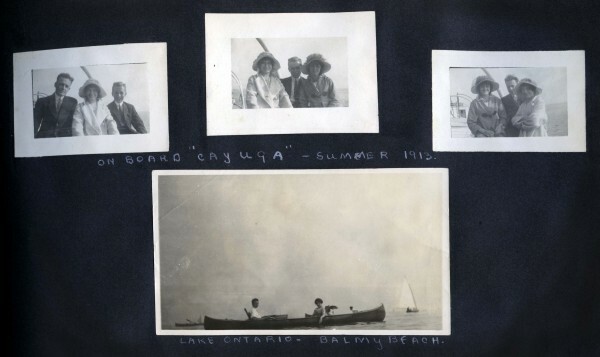 And although there are endless ways to take advantage of such a lively time of year, the pages of a Toronto family scrapbook may help to determine how best to enjoy the season. 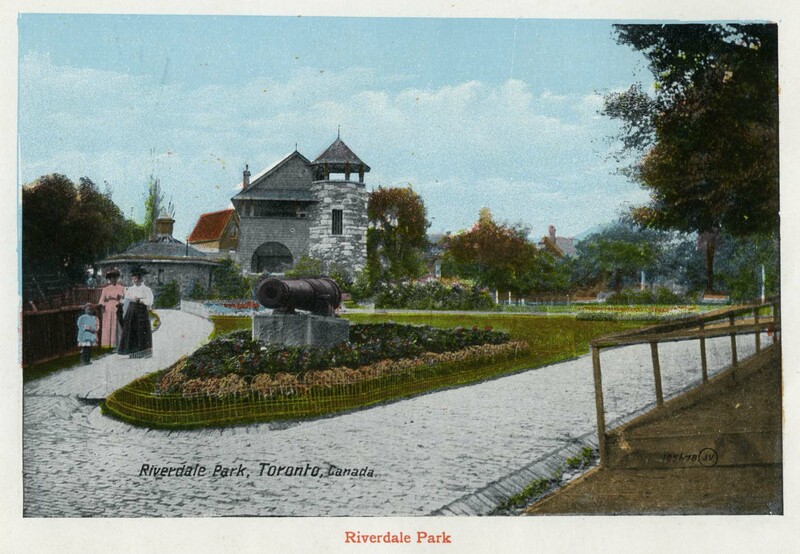 Enjoy a promenade through Allan Gardens, one of Toronto’s oldest parks founded in 1858. 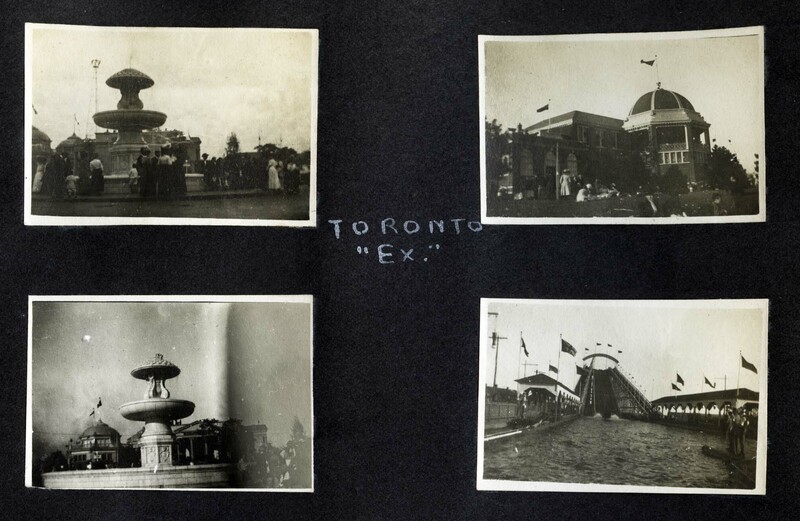 While you’re there you may want to drop into Allan Gardens Conservatory, built in 1910, just a few years before these photographs were taken. Scenes from Allan Gardens [ca. 1911]. Album reference number: 2008.001.049. Visit one of North America’s largest fairs, taking place annually at Exhibition Place. 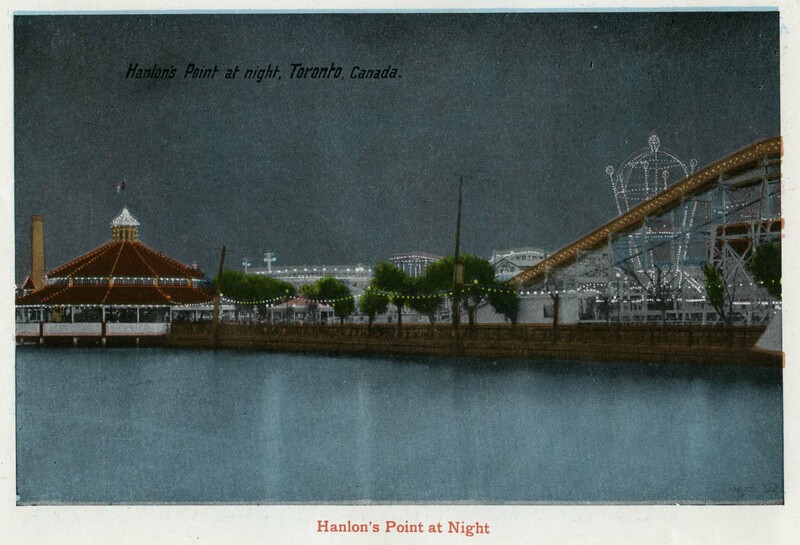 Image from “A Souvenir of Toronto.” (Toronto: The Valentine & Sons Publishing Co., Limited: [1913?]). 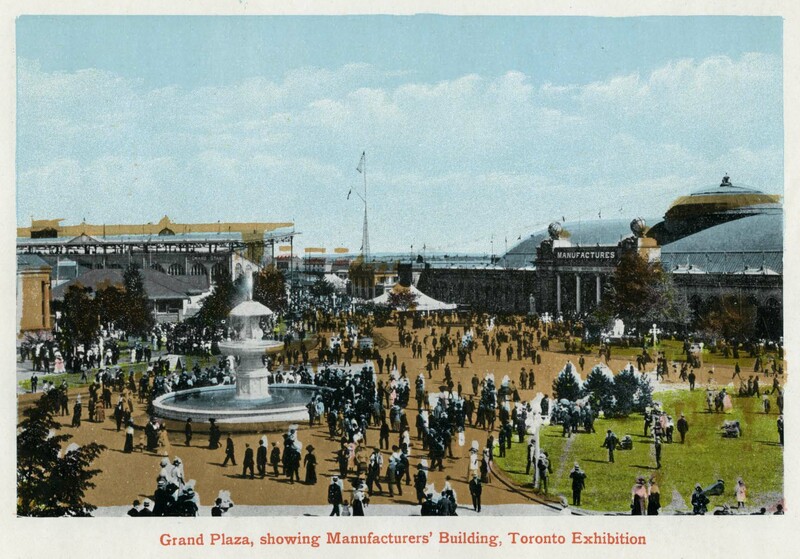 First held in 1879 to celebrate the best in Canadian agriculture and technology, the Canadian National Exhibition (CNE) has become a major city attraction. These photographs were captured in 1911, the final year the fair was known as the Toronto Industrial Exhibition before changing its name to CNE in 1912. Album reference number: 2008.001.049. Venture out to the Scarborough Bluffs and explore a unique geological feature of the city’s landscape. The first side of a spread in the scrapbook dedicated to a trip to the Scarborough Bluffs, 1913. Album reference number: 2008.001.049. 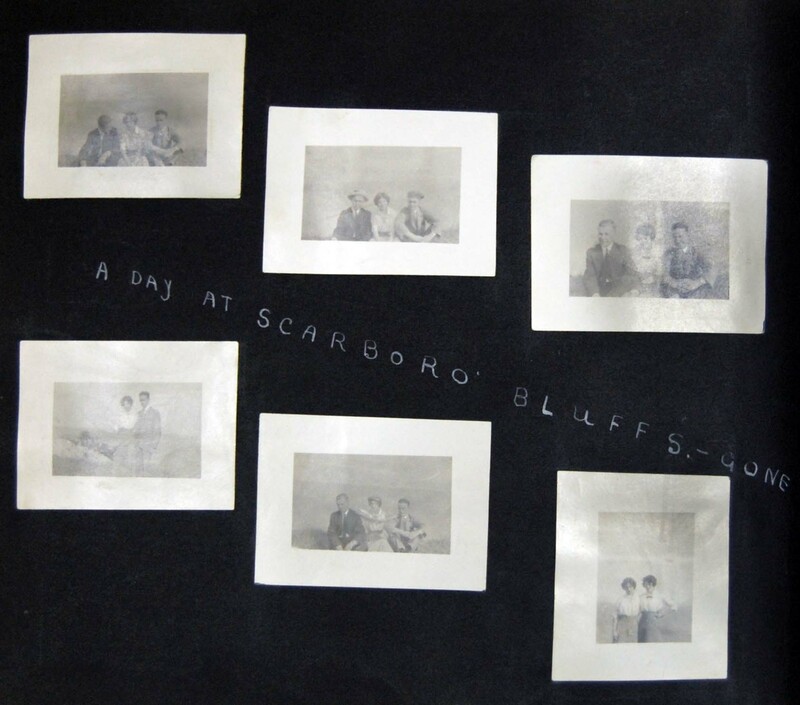 The second side of the scrapbook spread featuring images from a trip to the Scarborough Bluffs, 1913. Album reference number: 2008.001.049. Gather some friends and head to one of Toronto’s many parks and beaches. Taken at Kew Beach, summer 1911. Album reference number: 2008.001.049. The waterfront is at its best this time of year. Venture out on the Toronto Harbour and hop aboard a boat cruise, or take out a canoe. Maybe pay a visit to the Island. 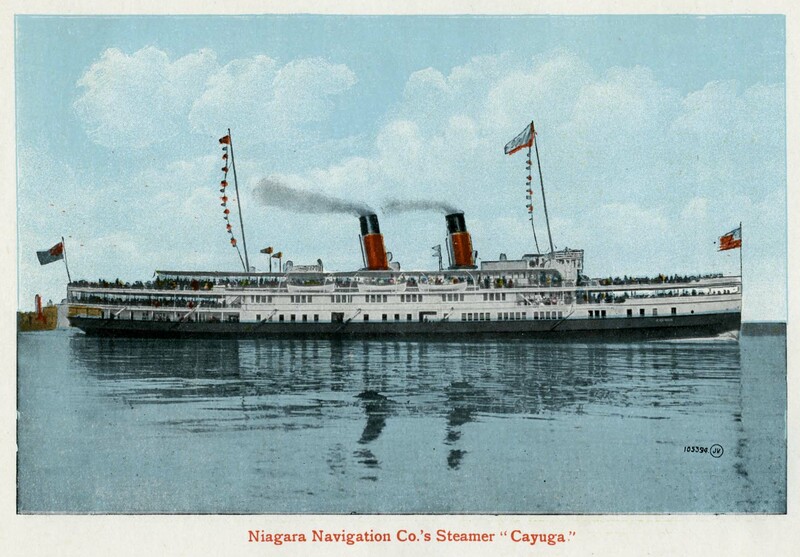 The S.S. Cayuga, launched in 1906, sailed from the Toronto Harbour to the Niagara Region transporting passengers and cargo until 1960. [ca. 1912]. Album reference number: 2008.001.049. [ca. 1912]. Album reference number: 2008.001.049. Bike along a trail or through your favourite neighbourhood. 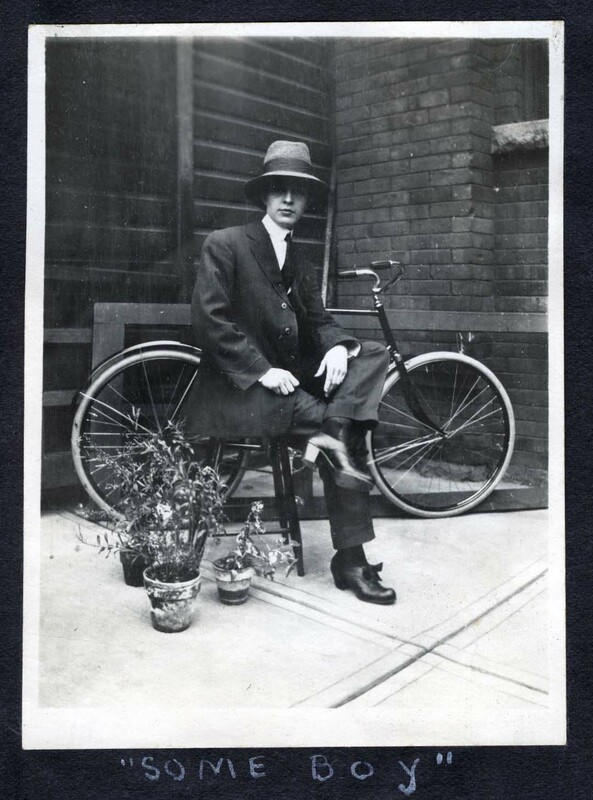 ‘Some boy’ posed in front of a bike, [ca. 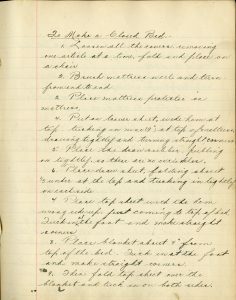 1911]. Album reference number: 2008.001.049. Wander over to your favourite store or market. 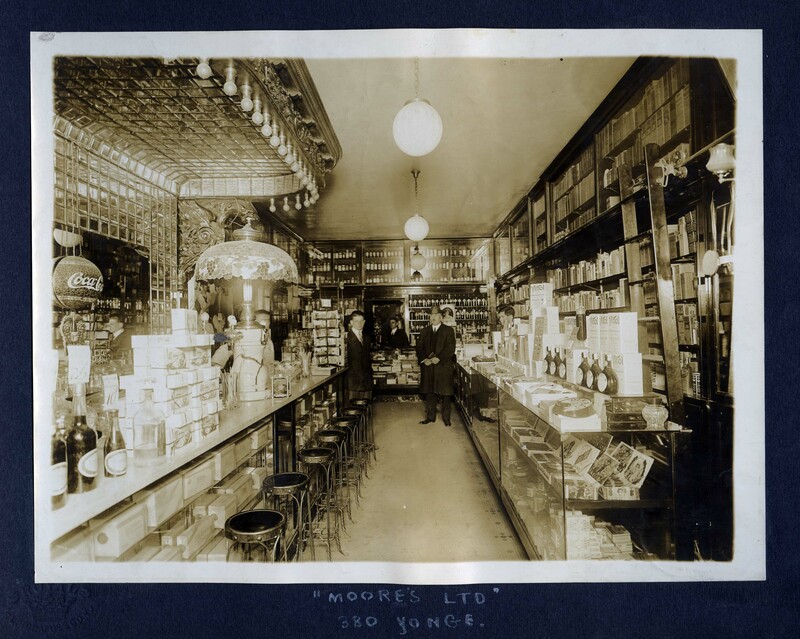 Moore’s Ltd. would have been located at the North West corner of Yonge and Gerrard [ca. 1912]. Album reference number: 2008.001.049. Shoppers at the crosswalk between Eaton’s and Simpsons. [ca. 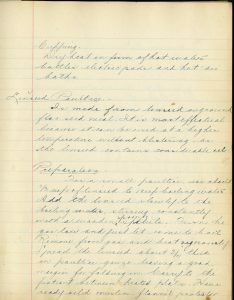 1905]. Image from: “The Simpsons Century.” (Toronto, Ontario: Toronto Star Limited, 1972). Embrace local history and check out how the city has evolved. Scarboro Beach Park was an amusement park located near the present site of Beaches Park. It operated from 1907-1925, [ca. 1911]. Album reference number: 2008.001.049. If the city has become too overwhelming, maybe it’s time to get away and take a weekend or day trip to the surrounding area. “Dingle near Simcoe” [ca. 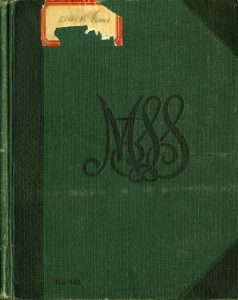 1912]. Album reference number: 2008.001.049. “Summer time in ‘Johnstown'” [ca. 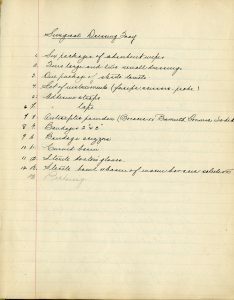 1912]. Album reference number: 2008.001.049. 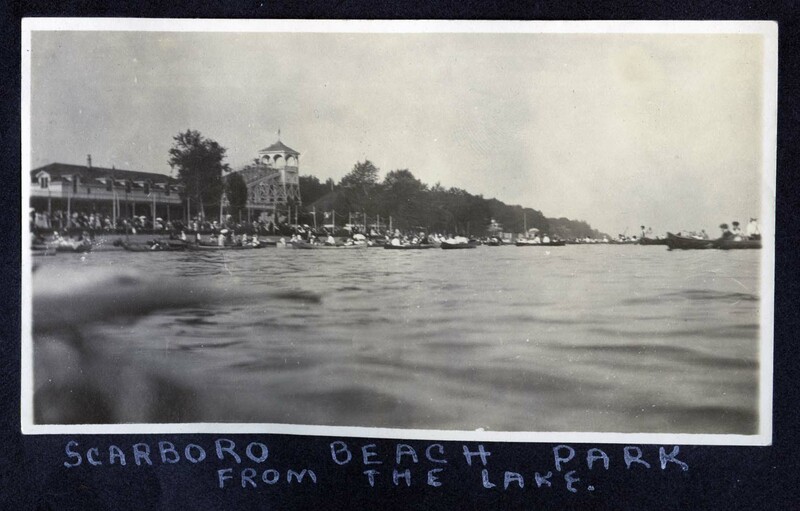 Put-in-Bay, Ohio, is a popular recreational attraction during the summer months, [ca. 1912]. Album reference number: 2008.001.049. 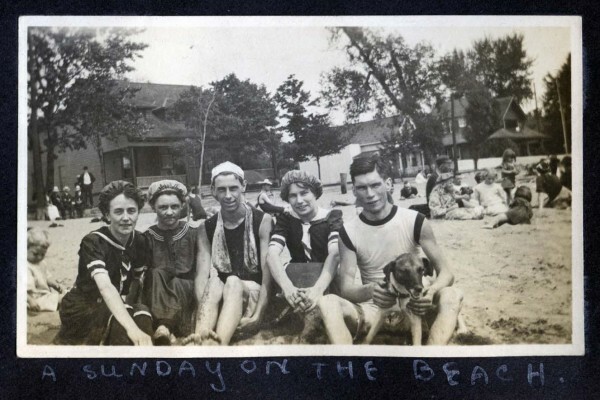 So long as there are friends and family, there are no shortage of ways to appreciate summer in and around Toronto. 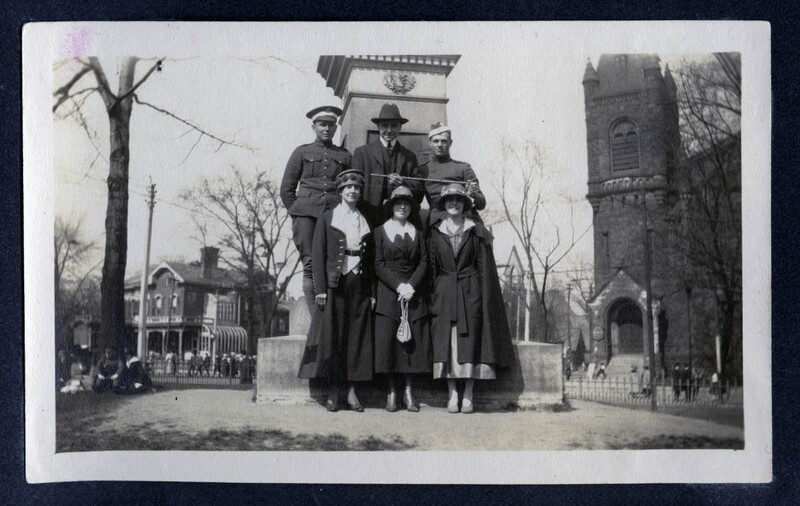 A family posed in front of a monument at the corner of Sherbourne and Carlton Streets, with St. Luke’s United Church in the background, [ca. 1914]. Album reference number: 2008.001.049. 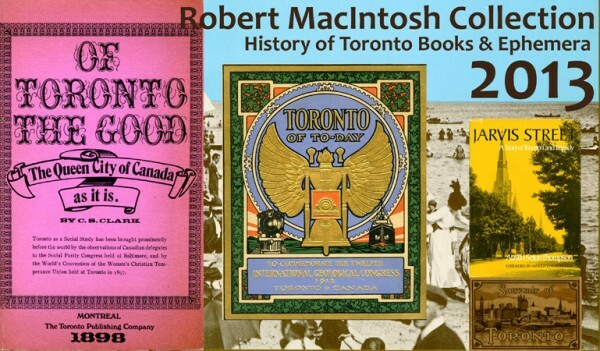 This blog features items from the Historical Collection, the Robert MacIntosh Collection on the History of Toronto, and the Rare Books Collection held at Ryerson’s Special Collections on the 4th floor of the library. 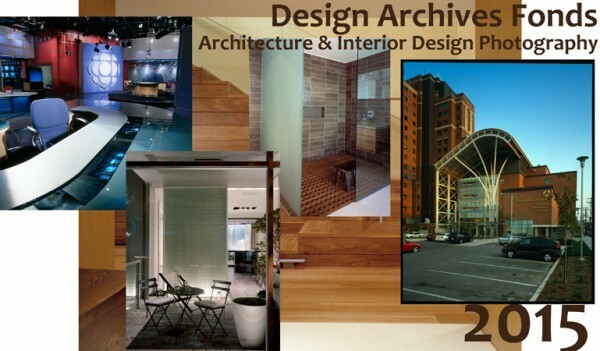 Drop in and see what else these collections have to offer. Call 416-979-5000 ext. 4996 or email specialcollections@ryerson.ca to make an appointment. In the age of social media there are many ways for news to be communicated. Faculty, staff, students, alumni, and the general public can find out what is going on around campus through Twitter, Facebook, YouTube and many other sources. 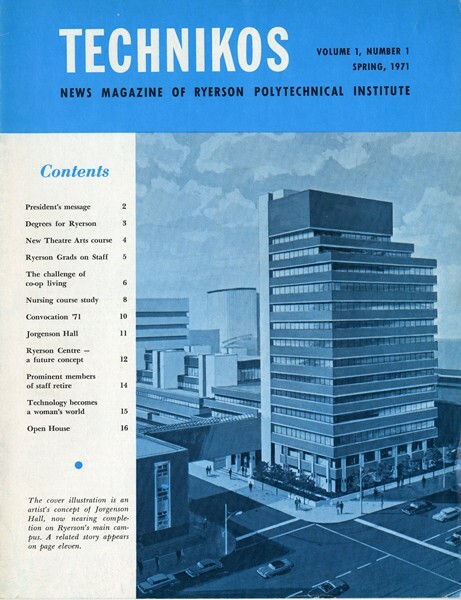 How did Ryerson get the word out there before the internet and smart phones – let’s take a look. 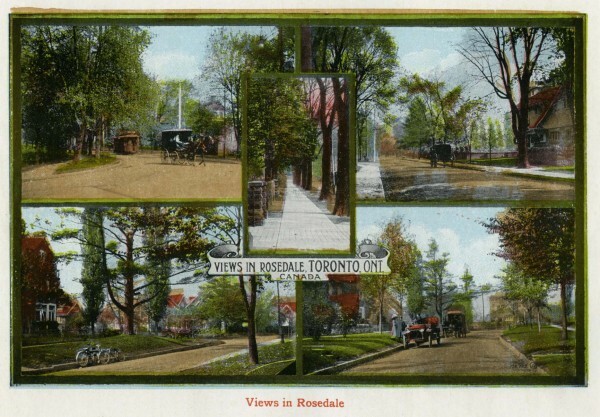 Ryerson has had various departments and offices responsible for getting the official news out to the community and the public. The Office of Information Services, the Department of Community Relations, the Office of University Advancement, and now University Relations were/are responsible to spreading the official word of Ryerson. 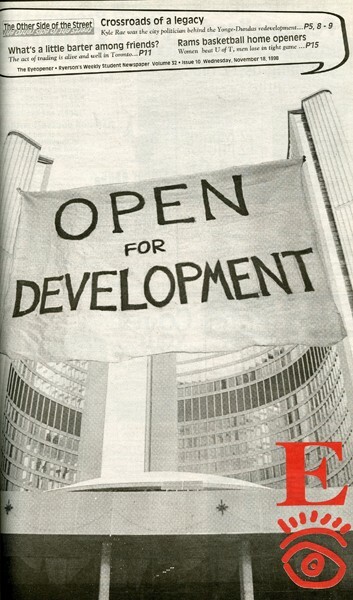 What’s Happening around Ryerson (1971-1977) was published once a week as an events calendar by the Department of Information Services. It was replaced by On Campus this Week (1977-1986). 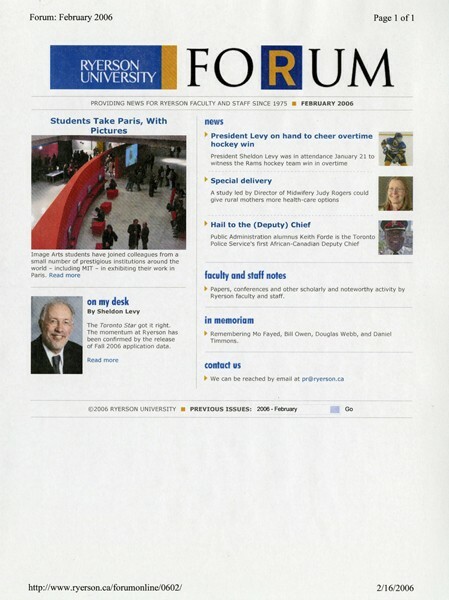 The Office of University Advancement published Campus News (2004-2009) which was emailed out to the Ryerson Community announcing individual events, campus notes, and other related information. This was discontinued in 2009 with the creation of Ryerson Today. The Office of University Advancement, and now the Department of Communications, Government, and Community Engagement periodically send out news releases about significant Ryerson occurrences and events. 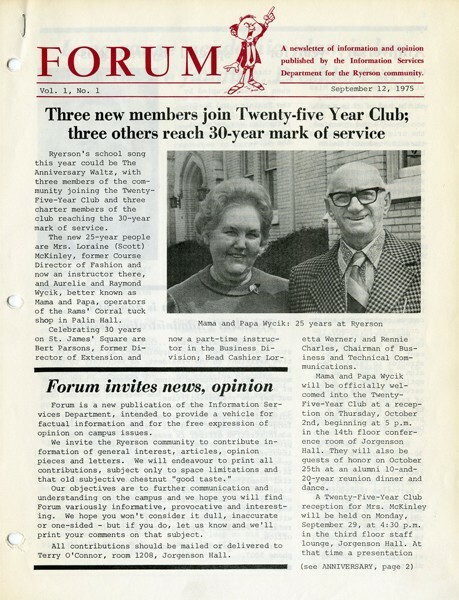 The FORUM was a newsletter of information and opinion first published by the Department of Information Services September 12, 1977. 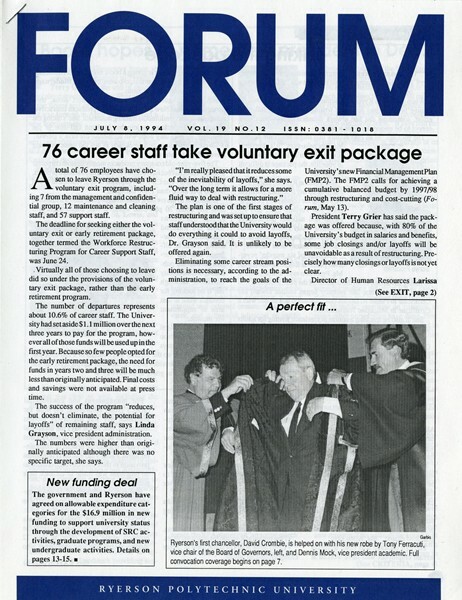 The FORUM continued to be published by the Department of Community Relations, and the Office of University Advancement changing styles and formats. 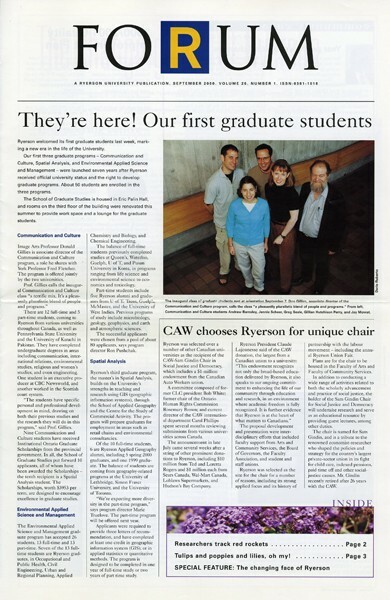 It went to a digital only format in 2006 and continued on until 2009 when it too was replaced by Ryerson Today. 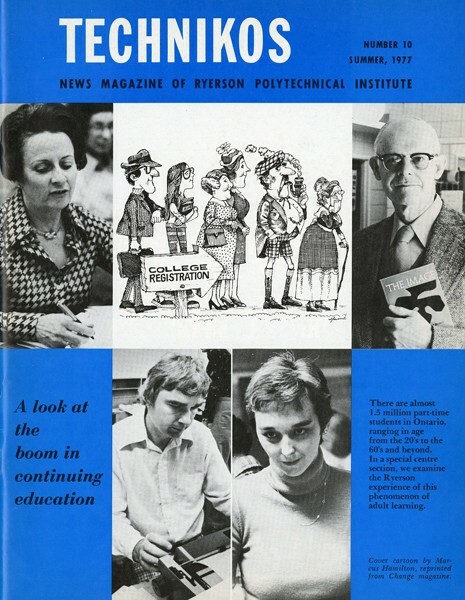 Technikos the news magazine for Ryerson Polytechnical Institute was first published in the Spring of 1971 by the Department of Information Services and according to then Ryerson President “it would be mailed to the home address of each undergraduate…Copies will also be sent to potential employers…high schools, colleges, universities, and Ryerson alumni…”. 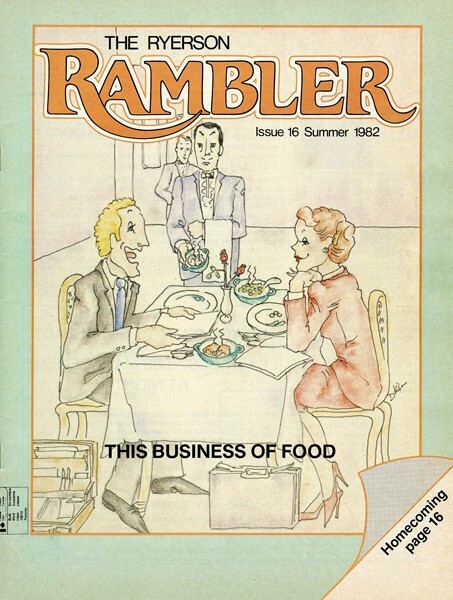 It was published twice yearly until Summer 1977 when, according to the Ryerson Rambler, “…the costs have caught up with us and a quality magazine like Technikos cannot be produced economically enough to enable us to send it to you regularly…” so publication was cut down to one magazine per year sent out during the summer months. 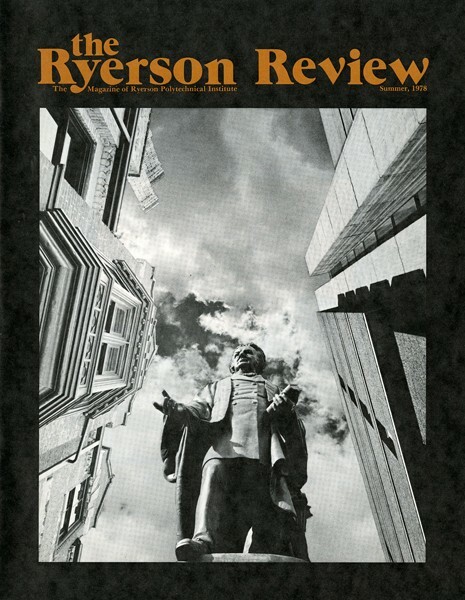 In 1978 the name was changed to The Ryerson Review. 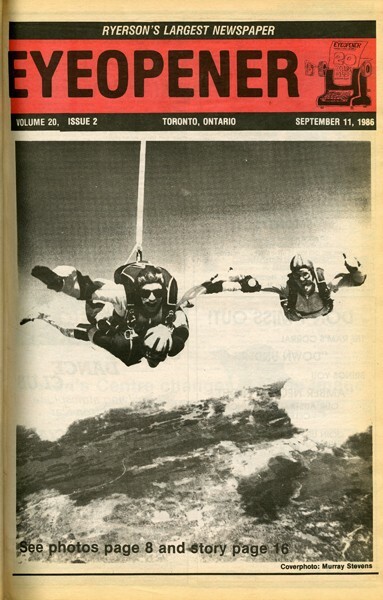 Its last publication was Summer 1980. 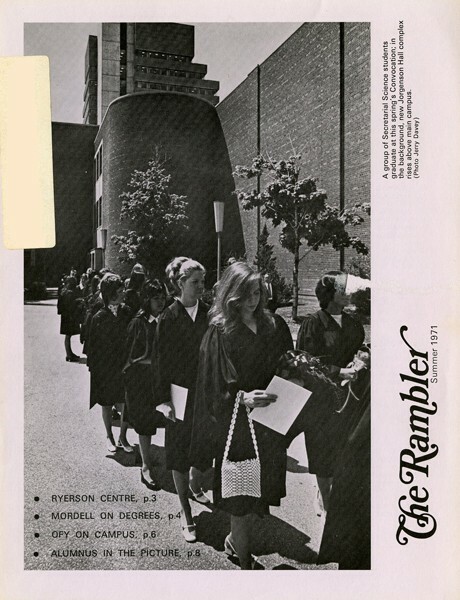 The Ryerson Rambler, first published in June of 1962, was Ryerson’s alumni magazine. 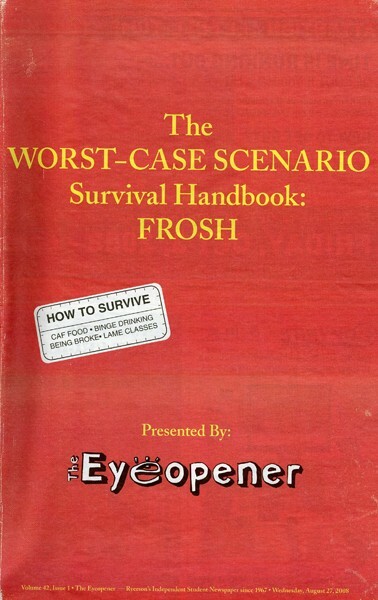 It was published initially by the Students’ Union. According to then Ryerson Principal Howard Kerr, “It is hoped in time that the Ryerson Alumni Association will be sufficiently strong to assume the responsibility involved in the financing of this project…”. 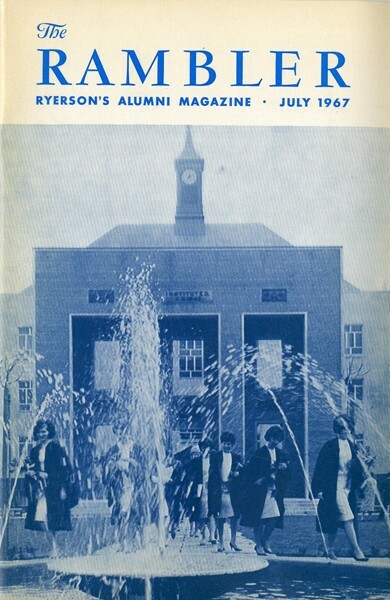 It would appear that the Alumni Association took over publication in 1967. 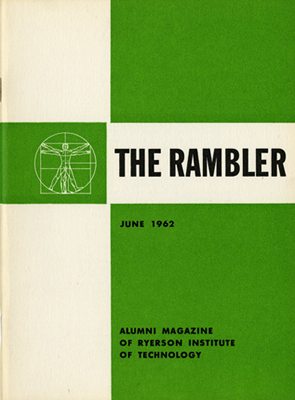 The Rambler continued publication until 1972, when it was replaced by Technikos as a source of information for Ryerson Alumni. 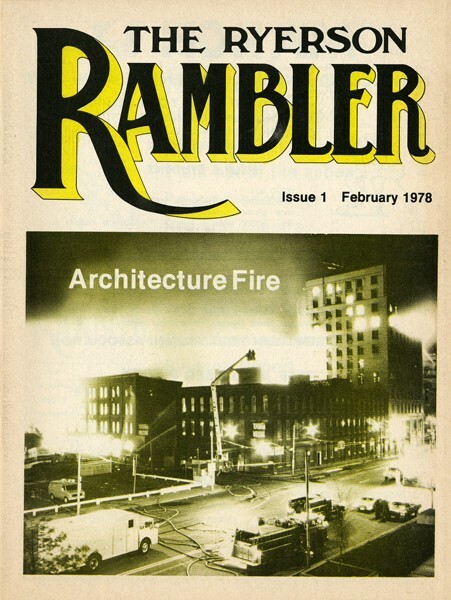 The Rambler returned in February of 1978 when the cost of producing Technikos became economically unfeasible. It was published 3 times per year. 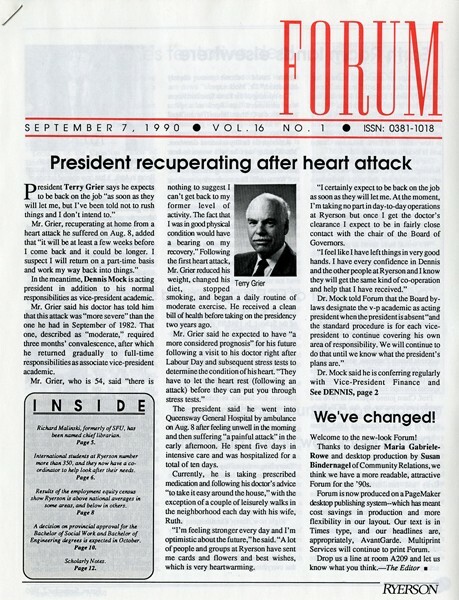 In 1994, the winter issue of the magazine was discontinued – replaced by What’s On, a newspaper-style newsletter. 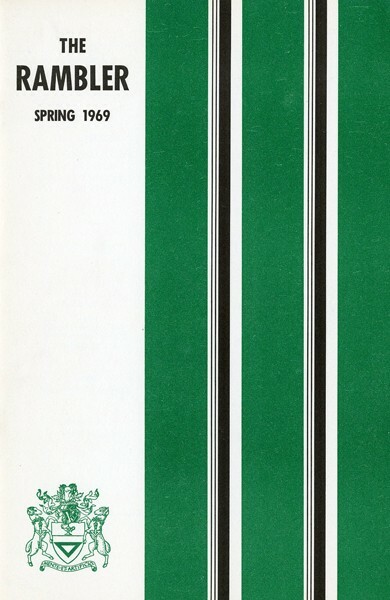 In 1997 they discontinued What’s On and started publishing the winter edition of the magazine again. 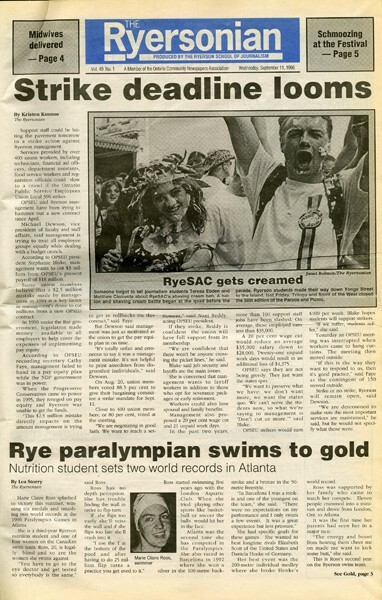 With the spring 1997 edition the name changed to Ryerson Magazine and began publishing only twice a year. 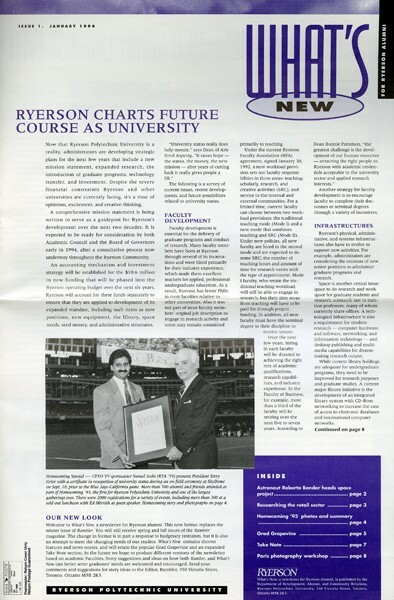 In 2001, it changed its name to Ryerson University, the magazine – reflecting the name change of the University from Ryerson Polytechnic University to Ryerson University. 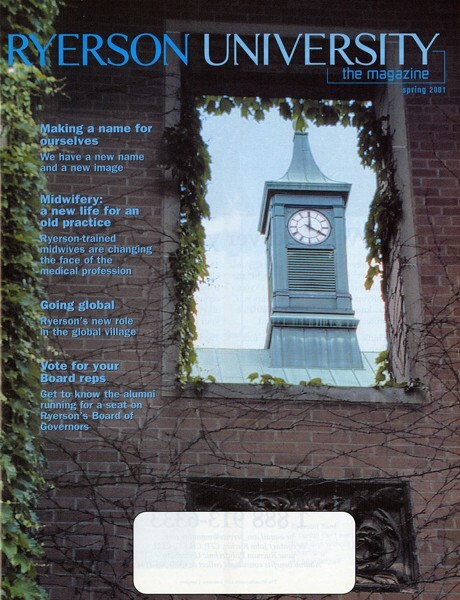 It changed its name again in 2002 to Alumni Magazine, with a final name change in 2011 to Ryerson University Magazine. 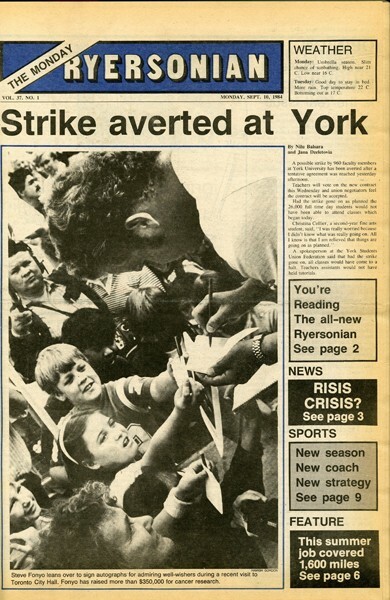 On the student side of the School, Ryerson has had student created publications since its inception in 1948. 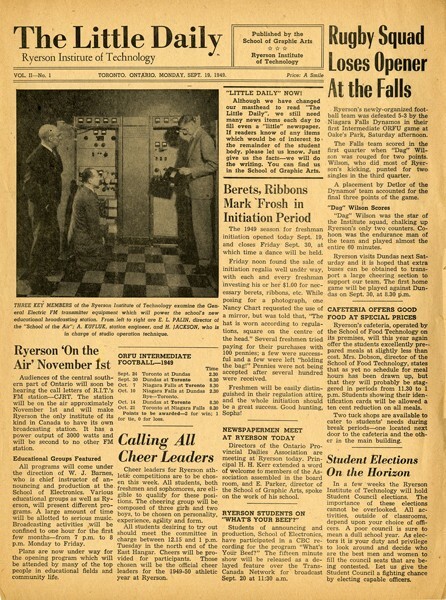 The School of Journalism began publishing a newspaper called the The Ryersonian in 1948. The first paper was published in December of that year. 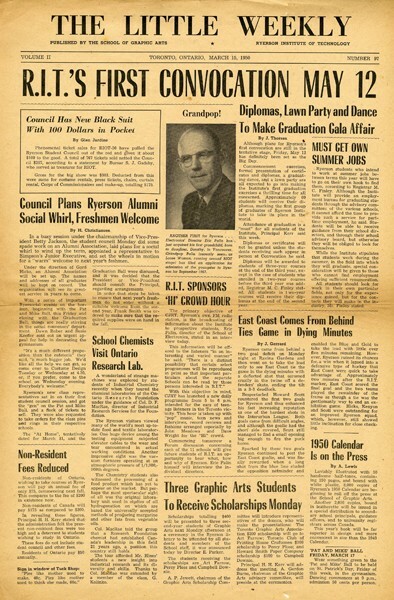 Starting in January of 1949 until April of 1951, the paper was published on a monthly or bi-monthly basis. 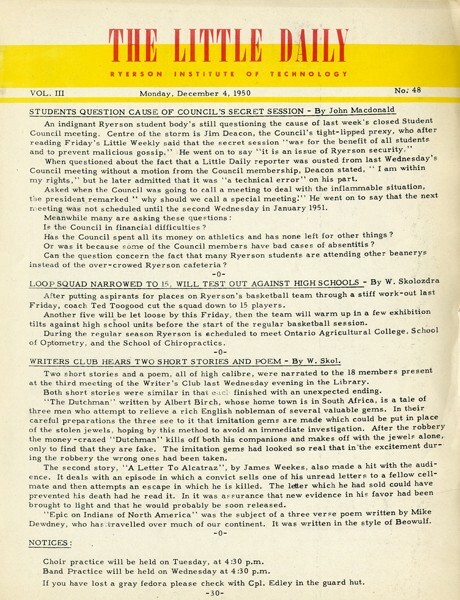 In the 1951-1952 school year the paper began being published on a daily basis. It continued this way for many years, until they began publishing Tuesday – Friday, and then only on Wednesdays and Fridays. 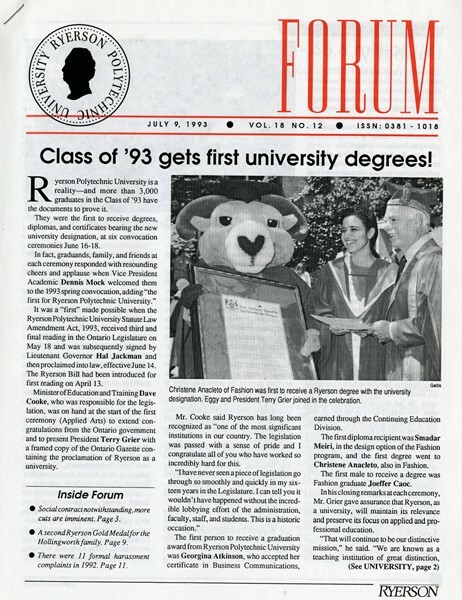 During the 1993-1994 school year it started its present schedule of weekly publication on Wednesdays. The paper is also available online at www.ryersonian.ca/. 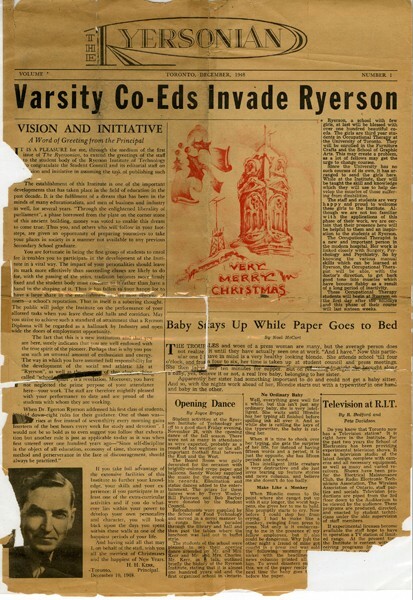 In June of 1949, the School of Graphic Arts, and the Journalism program started printing Ryerson Daily News. It was a one page leaflet with Canadian and International news stories. 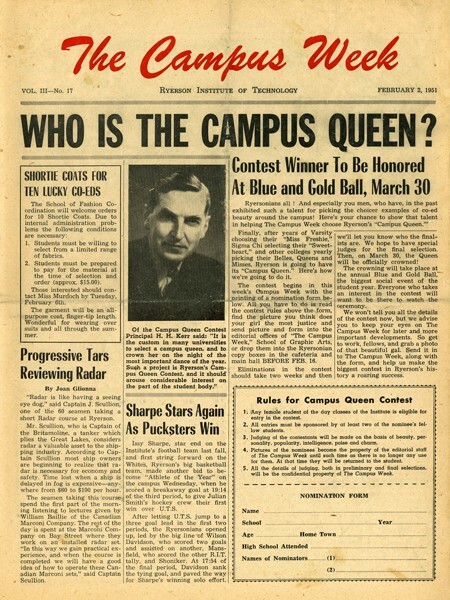 It was replaced in September 1950 by The Little Daily. 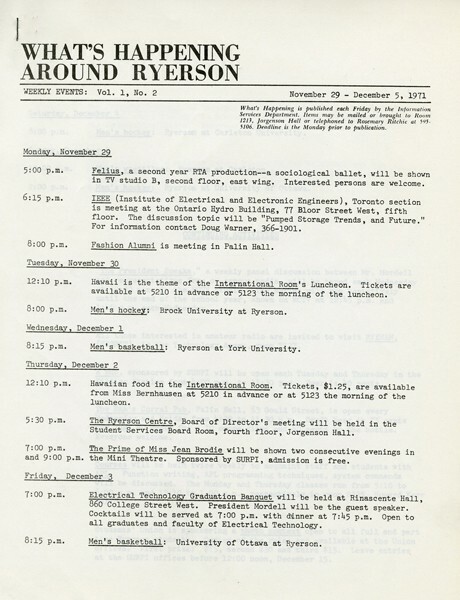 A one page information leaflet with news about Ryerson. 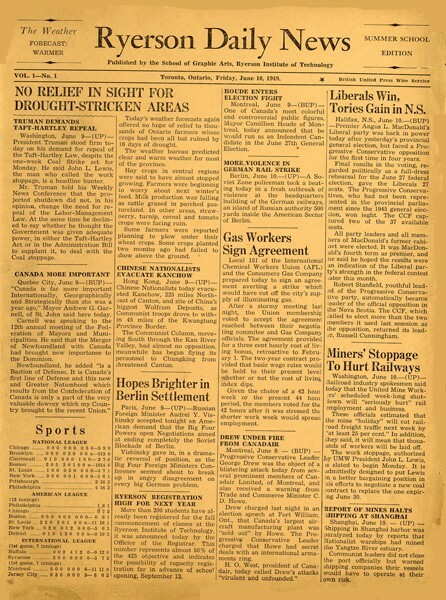 Starting in 1950 they also published the Little Weekly, a larger format newspaper style publication. 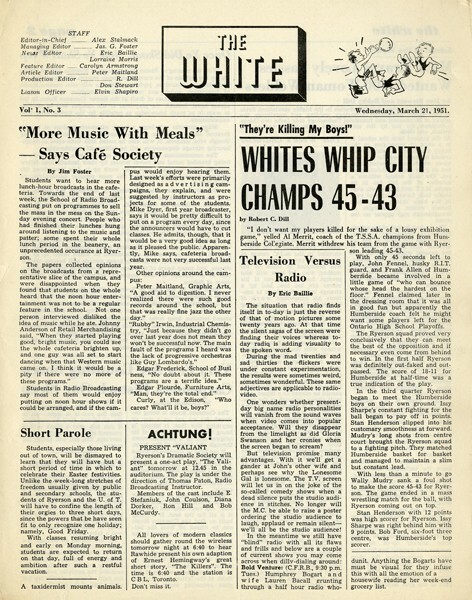 Both the Daily and the Weekly ended publication in January of 1951. To replace The Little Weekly, Journalism students started printing three different small newspapers on three different days – The Blue on Tuesdays, The White on Wednesdays, and The Gold on Thursdays. They were produced between February and April of that year. 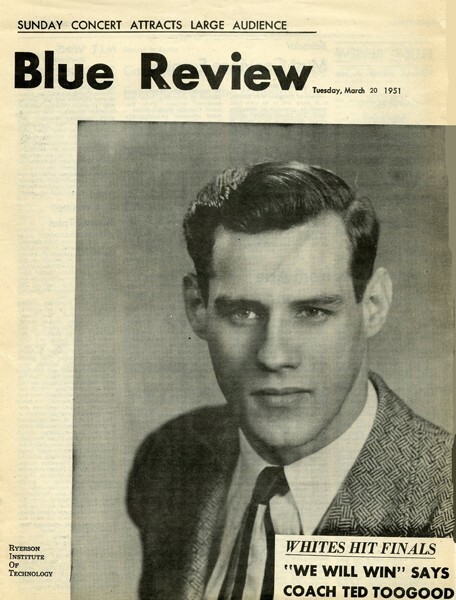 In March and April of 1951 Journalism also printed The Blue Review. 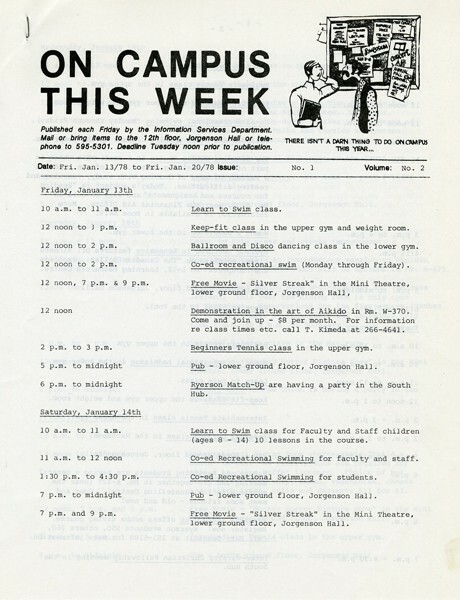 The Campus Week also was created to replace the Little Weekly. 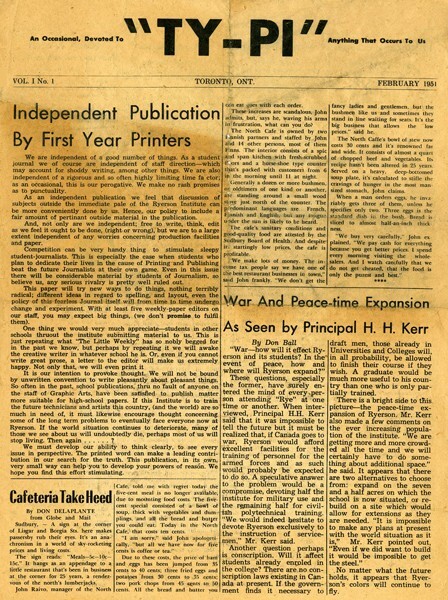 First printed February 3, 1951, it was written and edited by Journalism students and printed by the the School of Graphic Arts. 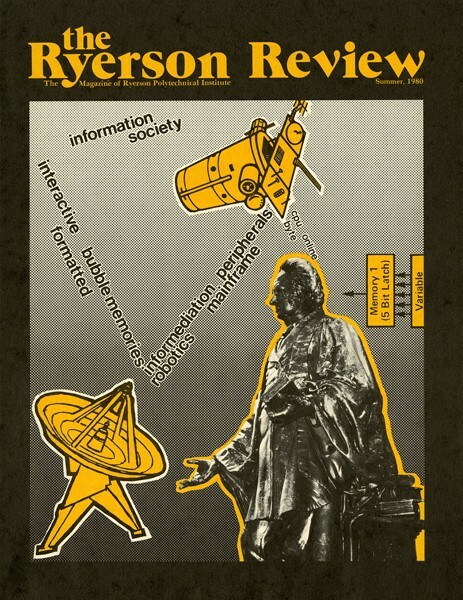 It had a four page format – mirroring that of The Ryersonian. It does not appear that this continued to be published in the 1951-1952 school year. 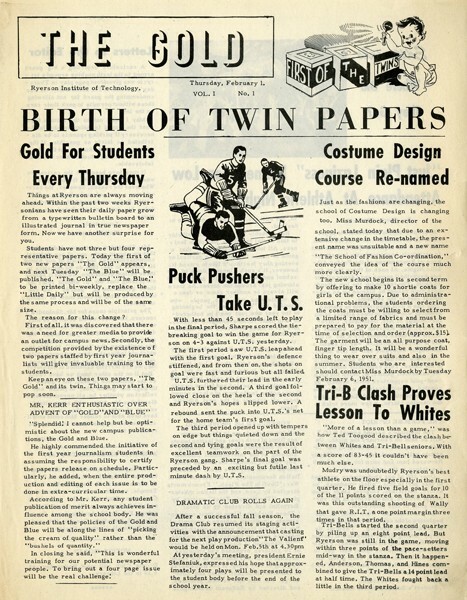 There was an independent publication created in 1951 called “TY-PI”, created by first year students in the Graphic Arts and Journalism programs. 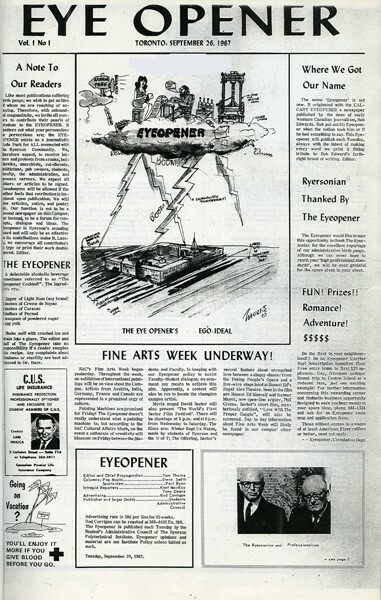 In 1967 the Eyeopener Newspaper (at first called the Eyeopener Magazine) took its name from the Calgary Eye Opener, newspaper published by Bob Edwards 1902-1922. 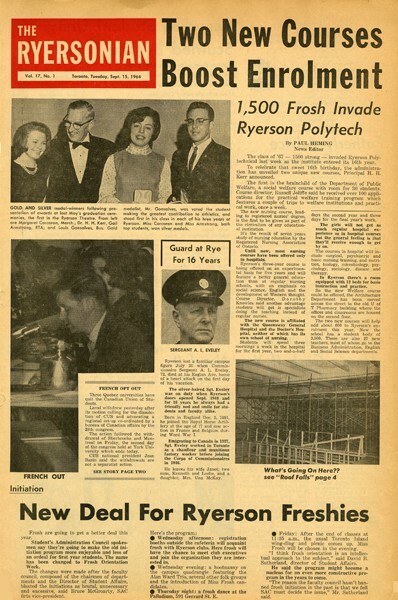 It was created because, as its first editor Tom Thorne stated, many students felt that the Ryersonian was not representative of all of Ryerson’s students. Published on Tuesdays by the Students’ Administrative Council on a weekly basis, it was a member of the Canadian University Press. 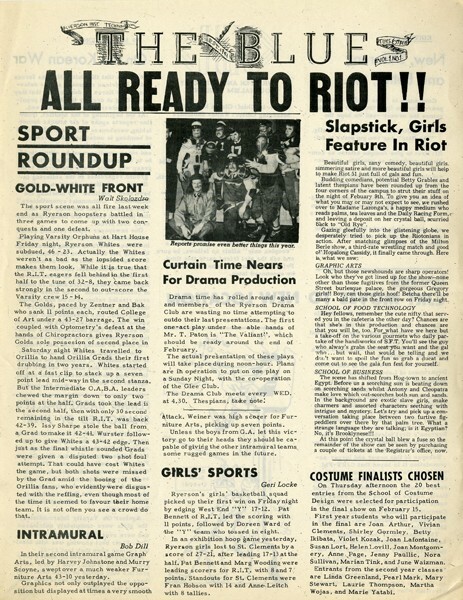 During the 1968-1969 school year it began being publishing on Thursdays and starting in September 1990 it changed to its current schedule of publication on Wednesdays. The Eyeopener is available online at theeyeopener.com. All of these publications contain valuable information about the life and times of Ryerson and its students, staff, and faculty. 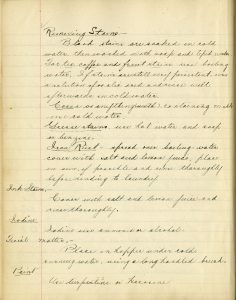 They have been an invaluable resource for many research projects. 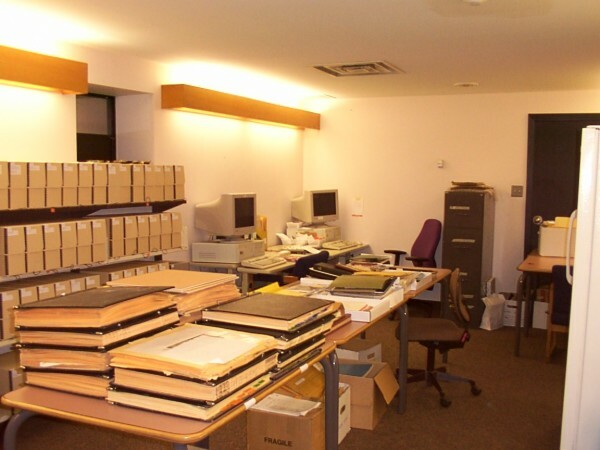 They are available for viewing in the Ryerson Archives. Please call (416 979 5000 ext. 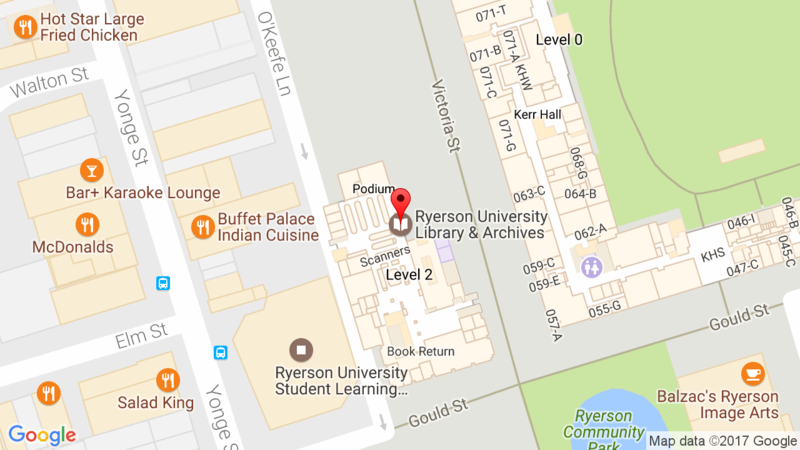 7027) or email (archives@ryerson.ca) for an appointment.